Examine, question and challenge the world around you at one of our Sussex Conversations. We have a strong tradition of bringing a variety of academic research to the wider community in an accessible way. Our Sussex Conversations events are designed to examine, question and challenge the world in which we live from different angles, creating new ideas that can help shape society. Every year a panel of experts discuss these current issues infront of an audience. You can attend an event or watch past Sussex Conversations online. There are currently no upcoming Sussex Conversations. But you can check back for updates or watch a Sussex Conversation online. You can also attend a public lecture. 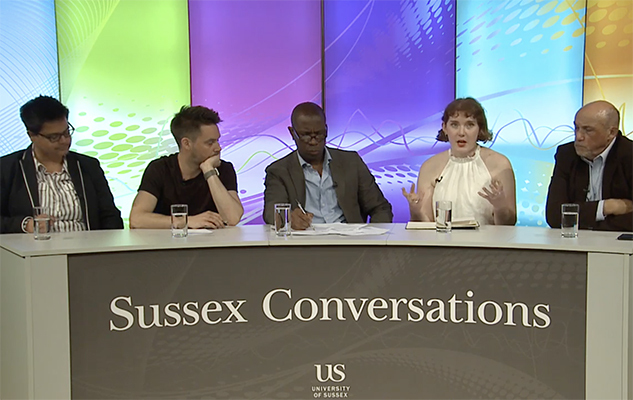 You can watch our past Sussex Conversations below.